Uses: This type of pocket is usually hidden in a side seam or a dart. It is my favorite type of pocket and can be seen on many of my dresses. The draw pocket is usually sewn between the front and back pieces of a garment, but in the Colette Macaron pattern you can see how it is folded into a dart. 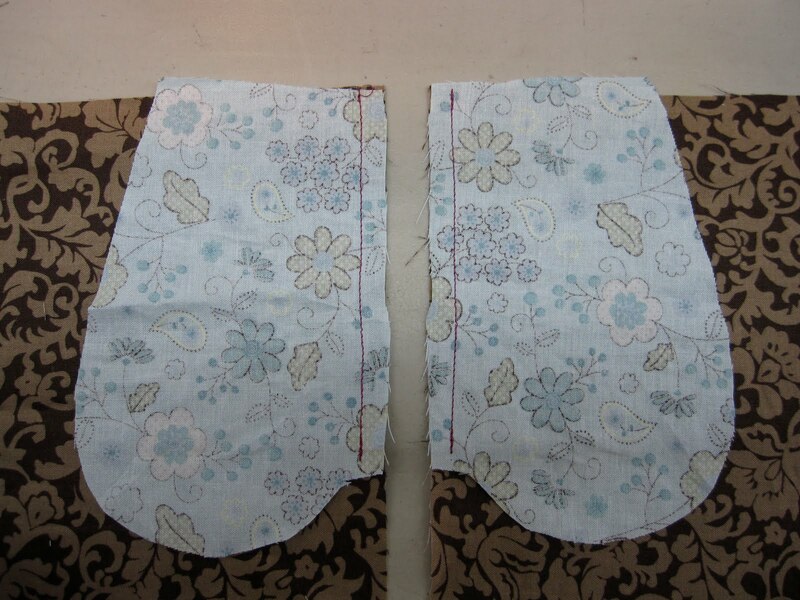 Step 1: The best way for pockets to lie flat and invisible is if they are cut separate from your pattern. If they are attached on the pattern piece, simply cut them separately, adding your 5/8" seam allowance to your garment and the pocket. If draw pockets are not included in your pattern but you wish to add them (like I do) simply follow an online pattern. With rights side together, sew each side of the pocket to the garment. Make sure to place them at identical positions so they can fit together in the next step. 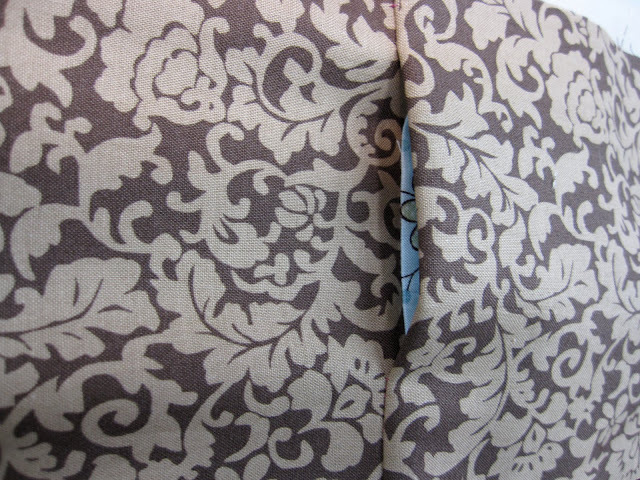 Step 2: Press, with seam allowances pressed toward the pocket. Step 3: Pin your garment pieces (with pockets attached) right sides together so that they match. Sew down the seam from the top of the garment until you about 2 inches past the top of the pocket. Step 4: Then sew a seam with your standard seam allowance, starting at the top of your pocket, down around the outside of the pocket and down your seam. Step 5: You may want to finish the edge with a zig-zag stitch. Trip seam allowance and clip corners. And there you have a hidden little pocket. Line it with the same fabric as the garment to make it practically invisible, or with a fun, contrasting print. You may also edge stitch the pocket opening, or stitch the outline of the pocket to one side of the garment. Check out the tutorial at Burda Style. Uses: Shirt pockets, patch pockets on dresses or skirts, bathrobes, bags, etc. Step 2: Fold the top down to the line, RIGHT SIDES together to make your "cuff". Stitch along the sides and the bottom at the allowance that you would like to fold you edges under (eg if the pattern says fold your edges under 1/2", stitch at 1/2" from edge). Step 3: Flip the "cuff" right side out so that the WRONG SIDES are together. 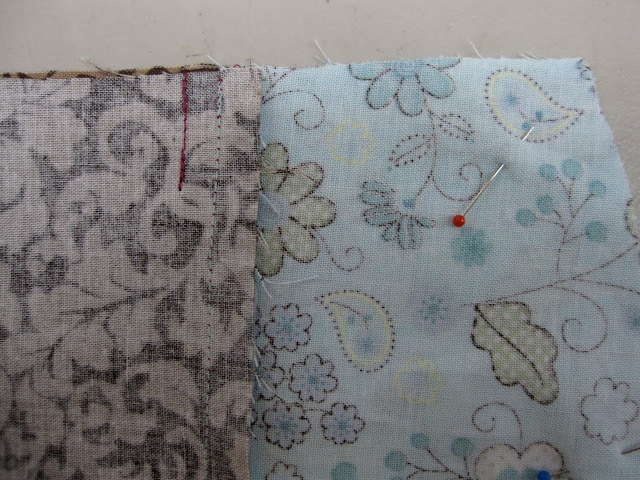 Step 4: Press the sides of the patch pocket under along the stitches you made so that the stitches are pressed just underneath. So that the corners don't stick out, fold them at a 45 degree angle as you press. Step 5: Stitch the "cuff" in place along the top. Step 6: To attach your patch pocket to your garmet, place your fabric right side up and your pocket right side up on top of it. Sew to the garment along the sides and the bottom of the pocket, stitching close to the pocket's edge.